Attorney Klug is admitted in New Hampshire and Massachusetts. She worked as the lead paralegal for three attorneys that had a general practice, mortgage company, real-estate office and title company, before acting as the lead paralegal for one of New Hampshire's most notable personal injury attorneys prior to finishing law school and passing both the Massachusetts and New Hampshire bar exams. This gives her a special advantage over most attorneys that have never worked through every aspect of many different kinds of cases. Attorney Klug has worked a case from start to finish at every level of this field. This has allowed her to foster relationships with clerks, paralegals and other attorneys that many other attorneys do not have. After graduating from law school attorney Klug worked for a family law firm prior to opening her own firm to provide representation in the attentive and aggressive manner that provides the best options, process and results for her clients. Attorney Klug has been recognized by many notable organizations for her actions on behalf of her clients and at the recommendation of her client's and even her peers. This does not compare, however to the recommendations and testimonials that can be found throughout the internet from past clients talking about the ease they experienced communicating with attorney Klug, the professionalism and aggressive nature of her representation and the comfort that comes with knowing that she is on your side. Attorney Klug is a wife and mother of two which gives her a special look into many issues that her clients are going through. She grew up in Manchester and she and her family are active members of the community in which you and your family live. Attorney Klug received her undergraduate degree from Southern New Hampshire University before attending law school at Massachusetts School of Law at Andover and receiving her Juris Doctor. Attorney Stephanie M. Shatney is a life long New Hampshire resident. She grew up in Bedford and attended Saint Anselm College in Manchester prior to entering Law School. Attorney Shatney went on to earn her Juris Doctorate degree at New England Law | Boston and she was admitted to the New Hampshire Bar Association the following November. Attorney Shatney began her career working as an associate attorney at a small estate planning firm, until she decided to open her own firm where she focused on divorce, family law, and estate & trust planning. During this time, Attorney Achsa Klug became her mentor. 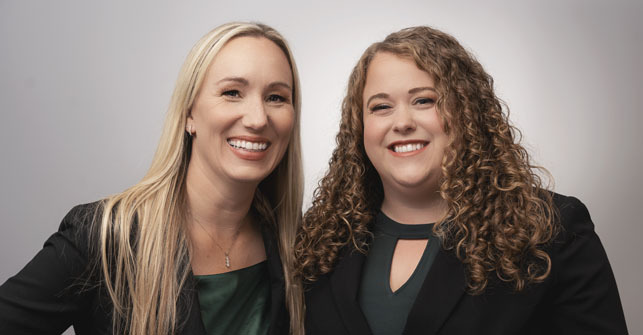 Attorney Klug and Attorney Shatney have now joined forces with Attorney Shatney taking the position of "Of Counsel" at Klug Law Offices, PLLC. This joinder means more options for you with regard to schedules, consultations, representation and managing the cost of your case.